Joan of Arc heard the voices of saints urging her to expunge France of its enemies, led her country to several victories - if she hadn't come along we might be calling France "England" right now - during the 100 Years War and was burned at the stake for heresy. It's a simple story, right? 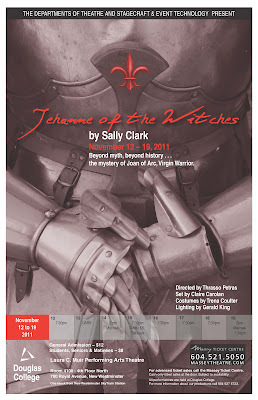 Wrong, according to Jehanne of the Witches, the latest production from the departments of Theatre and Stagecraft & Event Technology at Douglas College. This week at Douglas: Burmese activists, a new play, the chance to study in California and more! This is the second part of a free group workshop for students interested in learning more about possible careers they may enjoy. In the session you will complete vocational testing to explore your interests, learn how to research career options and have an optional one- to-one follow up meeting with a Career Counselor. Get more details here. 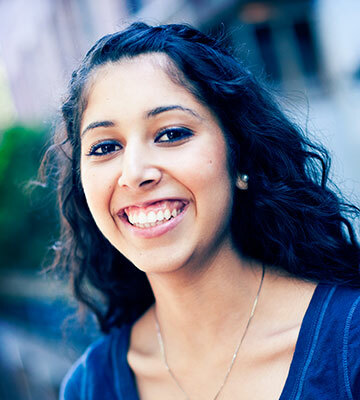 UC Berkeley Summer Sessions offer over 600 courses in a wide variety of disciplines including English as a Second Language. Courses are offered over 5 different sessions. You can choose to study for 3, 6, 8, 10 or 12 weeks. 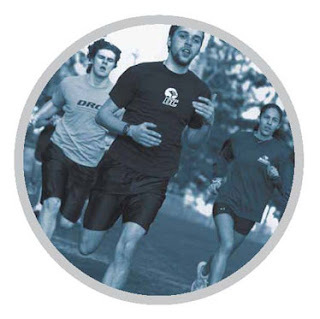 The first session usually begins towards the end of May, and all sessions end by mid-August. If you're not able to attend, detailed information can be found here. Paintings by Teressa L. Bernard and sculpted works by Nancy Brignall. Till Dec. 16. For more info visit the gallery web page. Join a representative from WorkSafe BC's Human Resources team to find out how you can prepare yourself for next summer's opportunities, and learn more about where your studies could lead in the future. Please RSVP to the Co-op department and note in the subject line; WorkSafe BC, include your full name and student ID# as well. Hear painter Teressa L. Bernard and sculptor Nancy Brignall talk about their work, on display till Dec. 16. 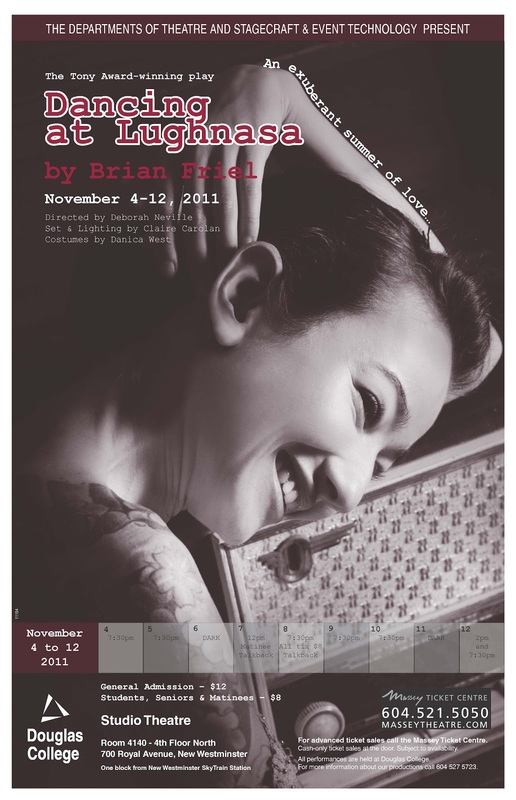 The departments of Theatre and Stagecraft & Event Technology present the Tony Award-winning play Dancing at Lughnasa, by Brian Friel. Till Nov. 12 More info here. On Nov. 21, join the 2011 Douglas College Distinguished Alumni, Michael Williams-Stark, who will be speaking about Making Faces. Michael is the founder of the children’s charity, which teaches acting skills and improvisational games to children with facial differences to help them build confidence and let them practise life skills in a fun, creative and safe environment. 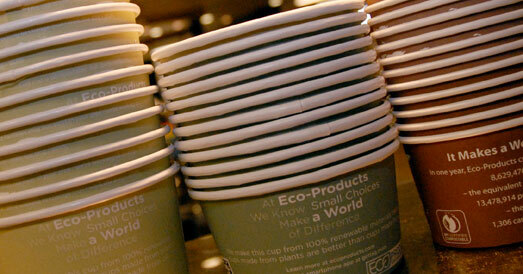 The event will be hosted by the Douglas College Alumni Association. All monies raised will go toward the Alumni Bursary. The Learning Centre has closed its online request form for its regular, ongoing (weekly) tutoring program for Fall 2011. If you have regularly scheduled appointments, your appointments will continue as planned each week. Any openings in the Learning Centre's schedule, however, will now be dedicated to shorter drop-in sessions. If you need writing help, check out the Learning Centre's online tutoring services. To schedule drop-in sessions to meet with peer tutors for writing, study skills and course help, reserve your session up to 48 hours in advance by stopping by the Learning Centre or phoning during open hours. Zoomies owner Craig McDowell loves his clients. 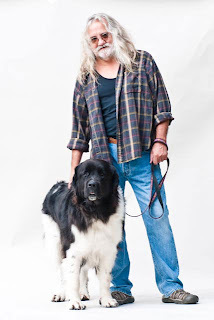 It’s a dog’s life – and Craig McDowell wouldn’t have it any other way. 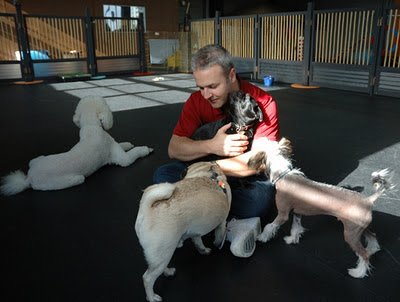 Craig graduated from the Douglas College Self Employment Program in July and soon after opened Zoomies, the largest doggie daycare in New Westminster. Here’s what Craig has to say about the Self Employment Program and his new venture. What do you do when your world is about to change forever? You dance – at least if you’re one of the main characters in Dancing at Lughnasa, the latest production by the Theatre and Stagecraft & Event Technology departments at Douglas College. You’ve probably seen the green “Leaving? Turn the lights off!” stickers above light switches in the classrooms and offices around campus. 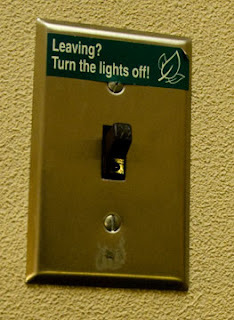 This is but one small initiative Douglas has undertaken to encourage students and employees to help the College reduce its energy consumption. This week at Douglas: EVENT turns 40, Halloween Rumble, career exploration and more! Interested in learning more about possible careers you may enjoy? In the session you'll complete vocational testing to explore your interests, learn how to research career options and have an optional one- to-one follow up meeting with a Career Counsellor. Free. 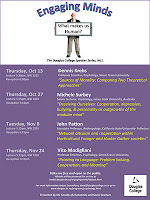 Part 1 of a two-part workshop (Nov. 8). Get more details here. 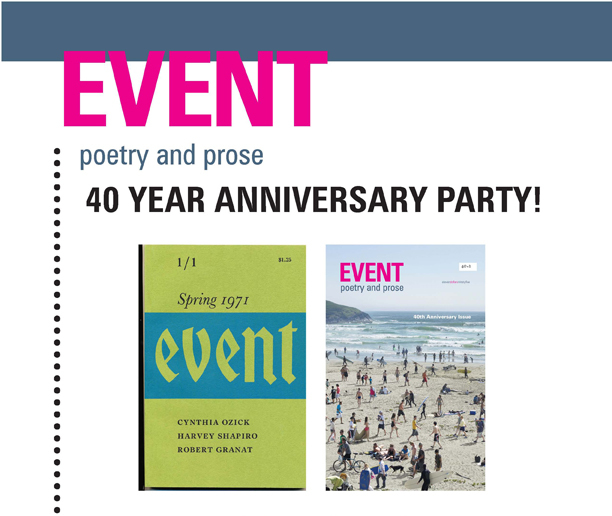 Join Douglas College's award-winning magazine of writing as it celebrates its 40th. Featuring readings and reflections by former EVENT editors. Free admission; refreshments will be served. More details on the EVENT website. With Bob Caldwell and Blair Fisher. Get more details at Arts Events. Watch a short video of Marcus Youssef describing the new Bachelor of Performing Arts program. If your goal is to become a professional performing artist, arts manager, administrator or entrepreneur, or if you plan to do graduate studies in the performing arts, have we got a program for you! 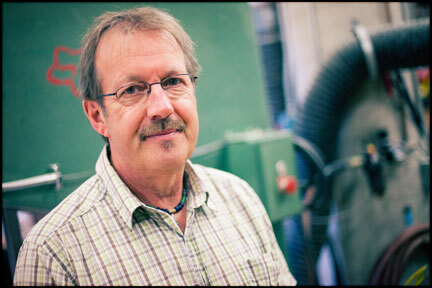 Douglas College has partnered with Capilano University, Langara College and Vancouver Community College to offer a Bachelor of Performing Arts (BPA) degree – the first of its kind in Canada – beginning in May 2012. The Calgary Stampeders’ Johnny Forzani recently tweeted, “Don’t run…You will only die tired.” Sounds like strange advice coming from a wide receiver – till you realize that Forzani’s talking about a video game. 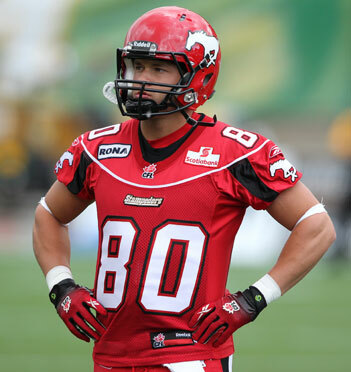 It seems the 22-year-old Calgarian is a big fan of first-person shooter games. 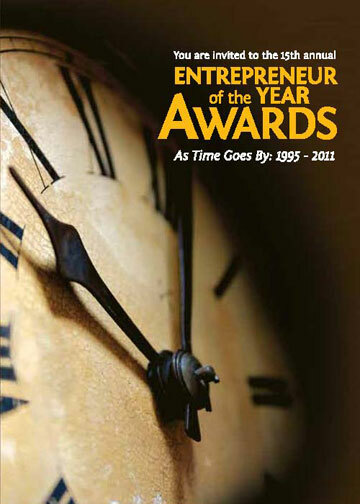 Don't miss the Entrepreneur of the Year Awards this Wednesday! Looking for an inspiring evening of rubbing elbows with hot new entrepreneurs and seasoned business leaders alike? The Entrepreneur of the Year Awards is an annual event which honours the success of Douglas College Self Employment Program alumni. With more than 400 guests present, the evening will include a networking reception, hors d'oeuvres, and culminates with the award ceremony. Guests include local business leaders, municipal and government representatives, program sponsors and entrepreneurs. For more information call 604 777 6012. 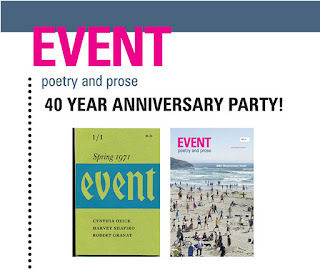 EVENT, the Douglas College Review of award-winning poetry, fiction and creative non-fiction, is throwing a party. And you're invited! 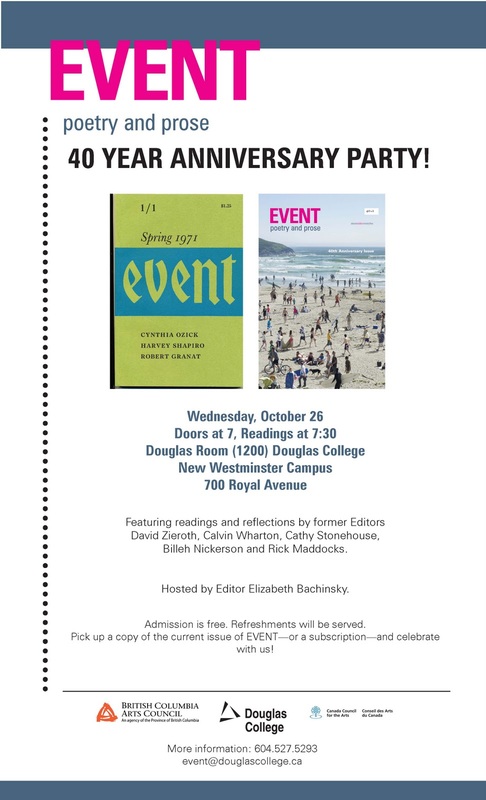 EVENT is celebrating its 40th anniversary with readings and reflections by formers editors David Zieroth, Calvin Wharton, Cathy Stonehouse, Billeh Nickerson and Rick Maddocks. The celebration will be hosted by current editor Elizabeth Bachinsky. The view the invitation, click on the thumbnail. On Thursday, Oct. 20, in an effort to prepare people for a potentially damaging earthquake, Douglas students, staff and faculty, along with thousands of other British Columbians, will participate in the largest earthquake drill in Canadian history. Concerned about the indoor air quality at Douglas? 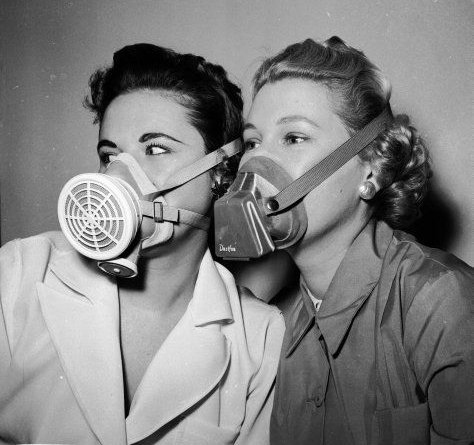 Have no fear: the College is taking steps to ensure that you breathe easy. It is estimated* that Canadians spend 90 percent of their time indoors. That means we spend the majority of our lives breathing in substances – such as chemical vapours from cleaners, paints and furnishings – that could be hazardous to our health. 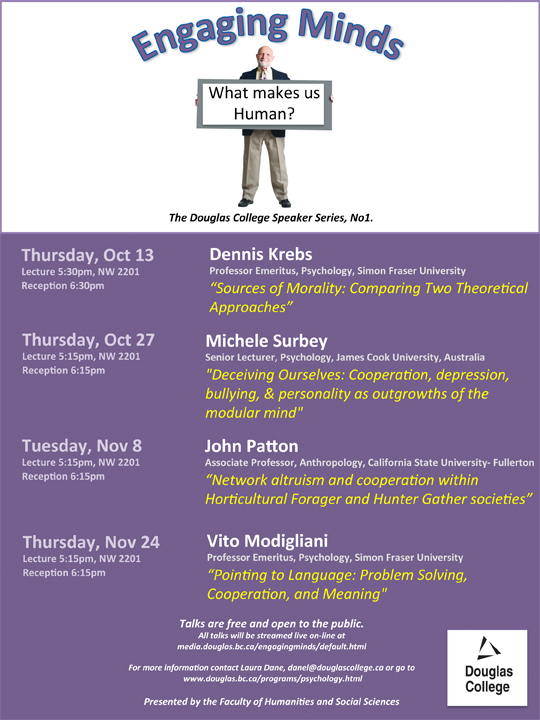 This week at Douglas: time management workshop, new lecture series, a jazz concert and more! Business students: don't miss this chance to meet with Brian Teghtsoonian, Admissions and Recruitment Officer, Undergraduate Program, from the Sauder School of Business at UBC. For more information call 604 527 5460. Learn realistic and practical strategies for effective time management in today’s world. This interactive workshop provides you with an opportunity to brainstorm solutions for personal and career success. Bring a scenario for discussion. Open to all students and staff. Sign up at douglife.ca. Join Adler School of Professional Psychology representative Malcolm Dane to learn more about postgraduate studies. Space is limited; secure your seat by email. Put "Adler School" in the subject line and include your name and student ID# in the email. What is the primary source of morality? Join Dennis Krebs, Psychology Professor Emeritus, SFU, as he discusses the hypothesis that moral judgments and behaviours stem from a set of mental mechanisms that evolved in the human species because they disposed early humans to uphold social relations that fostered their biological interests. Free. Followed by a reception in the theatre foyer. More info here. See the magic of science as you've never seen it before. Magical colour changes, exploding balloons, fun with food, and much, much more! Don't miss this opportunity to experience the lighter side of science with a great mix of knowledge and humour that is sure to please everybody. When Drew Young got the news he was receiving an award recognizing his contributions to live performance in Canada, the Coordinator of the Stagecraft and Event Technology Program couldn’t believe his eyes. 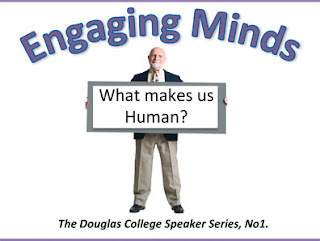 This week at Douglas: leadership workshop, chamber ensemble, DC Student Night and more!